Many family members who find themselves caring for a loved one may be unable to recognize their own limitation before the strains and stress of their care giving activities turn them into a patient as well. This is especially true for someone who started out providing intermittent assistance to someone with simple tasks as shopping, errands, or bill paying who, as their loved one declines ends up providing heavy personal care such as bathing and dressing. Studies have shown recently that nearly 25% of American families are caring for an aging family member, friend or adult child with disabilities. Part of the art of being a successful caregiver in the ability to set expectations, see one’s own limitations and learn to care for ourselves as well as others. In many cases, care giving responsibilities saturate one's life to the extent that we may not even recognize what was once our "normal" routine. The responsibilities for providing care for someone else can become gradually overwhelming as the personal needs of the loved one inevitably increase over time. But burnout isn't like the flu with defined and recognizable symptoms. It creeps up on you gradually over time. You may wake up one morning look into the mirror and not even recognize the person or professional that you once were. Symptoms of burnout can have a profound influence on your quality of life. Most caregivers experience a heightened sense of helplessness and depression along with a sense of ongoing and constant fatigue. Care giving activities for others may force a withdrawal from social contacts and friends who are your primary support structure, or even cause you to lose interest in work where you may receive professional validation. Still others may experience a change in eating habits, or an increasing use of stimulants and alcohol. While most people can endure and recover from some of these symptoms, they tend to accumulate over time and increase in severity. Eventually they can have a dramatic impact on the overall health of the caregiver and their ability to effectively provide care for someone else. Ultimately this can lead to a collapse of the "cushion of care" that was originally intended and render the caregiver a patient himself or herself. This can create a cycle of failure, which becomes self-perpetuating. Strategies to cope with burnout are critical to maintaining the health of both parties. Acknowledge your emotions and find an outlet for them. Feelings of anxiety, worry, anger, guilt, sadness and resentment are normal, and should be shared with others. Most communities have well-organized networks of support groups. These are groups of people who have experienced similar family crises and have banded together to help one another. Support group meetings such as those sponsored by the Alzheimer's Association provide a monthly forum for caregivers to receive feedback and coping strategies from others in the same predicament. Recognize the importance of your own identity, and allocate some personal time for things you enjoy such as exercise, hobbies, other family members, and even some "quiet time." Establish some understandings regarding what an emergency is, and more importantly what is not an emergency requiring your immediate response or interruption. Do not hesitate to say "no" if the problem can wait, someone else's crisis only becomes yours if you accept it. Knowing what things can wait can provide you more control over your life. Also recognize that the more you do for someone, the more dependent they can become. Studies have shown that starting or completing tasks for people can offer more independence for both than doing it all for them "quickly." Try to focus of what abilities remain rather than those that have become lost or difficult. This helps to build confidence, rather than leaving you with the feeling that you can never do enough. Don’t allow yourself to get into a rut. Often caregivers can become so wrapped-up in handling one problem after another that they can lose perspective. 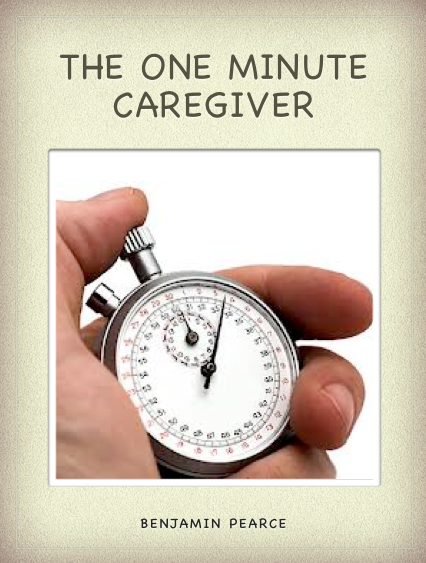 Varying the responsibilities of the caregiver is a way to stay fresh. If possible rotate tasks between other family members, or look into day care to give yourself some personal time during the day. Most senior living providers also offer respite programs to allow short-term residency while caregivers take a well-deserved rest or vacation. These programs can provide the caregiver some peace of mind in knowing that professionals are looking after Mother or Dad so that the caregiver can relax, recharge and regain their perspective. Respite can also serve to introduce your parents to the concept of assisted living so that they can overcome any fears they might have of living there one day. Once they see that others have made the choice to live there and how their lives and family relationships have improved as a result, they might consider the option for themselves. Recognize that you do not have to do it all. Being a good caregiver doesn't mean that you have to be a martyr. If other family members are giving you direction and advice, then they should share in the burden. Learn to ask for and accept help from others, maintaining a balance in your life will help you avoid future burnout. Take time for yourself to recharge and to nurture your own family and friendships. Make time to protect your own health; you will need it now more than ever.